Perseverance, determination among traits transferred from military service. 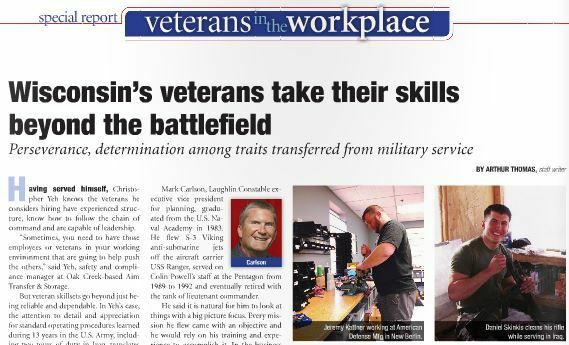 Special report on veterans in the workplace. View the full article here (page 26).